The 2000 AD Thrill-Containment Binder is back. This limited edition Cordex Binder, with full colour litho-printed cover, holds 28 issues of the Galaxy's Greatest Comic. 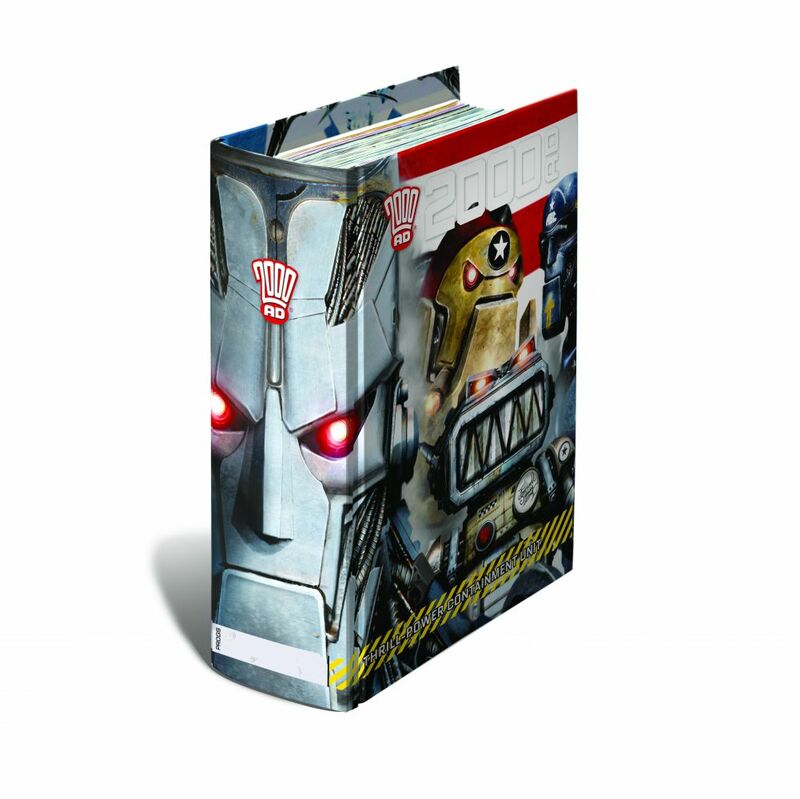 Specially designed to hold copies of 2000 AD, it measures 297x230mm with a 90mm spine. Once this initial run of up to 500 binders runs out, a new design will replace it - so grab yours now!